Canada’s labour markets are not perfect. One problem is that they frequently do not match a person’s skills to the most appropri ate job. There are many reasons for this, including the use of rapid screening techniques and a reliance on small networks in hiring. But one effect of the resulting mismatch is that, among OECD countries, Canada now has the highest proportion of university-educated adults in relative poverty – 17.6%, or one out of six (OECD 2013). By comparison, 8.6% of university-educated adults in the UK are in relative poverty, though Britain has a higher proportion of university graduates. The under-utilization of skills became acute for recent graduates after 2008. But it has been a longstanding problem for Canada’s newcomers, who comprise 32% of our university-educated workforce. Even before the recession, less than 25% of recent immigrants were working in their profession (Plante 2010; Xue 2008). Good internships can help alleviate this problem. From an employer’s perspective, internships can help their organization discover the talents of immigrants and identify where a newcomer’s skills are best put to use. From a newcomer’s perspective, an internship can help them build a professional network in the industry. The idea is not new. Like internships, co-operative placements and apprenticeships also provide on-the-job training through short work contracts. Indeed, co-operative placements can be seen a series of paid internships (intermixed with university classroom instruction) that help students enter their profession. Pioneered in Waterloo in 1957, co-ops are now common across Canada. Employers use them to recruit promising graduates, and universities use them to help students transition into employment. Apprenticeships have a longer tradition. In 1928, Ontario began coordinating apprenticeships in the trades to develop its agricultural workforce. While internships serve the same function as cooperative placements and apprenticeships, they also differ in critical ways. No school-based training is involved, nor do we have an institution like the Ontario College of Trades or the Canadian Association for Cooperative Education to set standards for internships. Without such an institution, each employer is left to craft their own intern program, with no incentive to consult externally about guidelines. What guidelines could we establish? I would recommend three. First, good internships should include dedicated training as part of the job. This develops Canada’s workforce. Second, interns should receive respectable salaries. The payroll keeps the organization on the safe side of employment laws, while a respectable wage ensures that an intern is not simply considered low-cost labour. Third, a good internship should offer many welcoming experiences, with abundant opportunities to integrate with the organization’s permanent employees and their work-teams. This allows multiple staff members to see the variety of talents the intern can offer, which helps staff identify where the person’s skills can best be put to use. In the absence of any guidelines or standards, the very definition of an ‘internship’ has become fuzzy. For some employers, on-the-job work experience is sufficient, so they allocate little time for training. Others argue that interns should not expect to be paid. But when internships are nothing but unpaid work experiences with minimal training, little distinguishes interns from volunteers. And when interns are not integrated with paid staff, the skill-matching potential of internships is also lost. Without some standards, internships stand at risk of becoming just a marketable job-title with which to recruit disposable volunteer labour. Amidst these debates, the actual ‘intern’ experience varies considerably. What makes the news are some of the most exploitive internships, offering no pay and little invitation to work alongside permanent staff. Despite the headlines, there are good internships that truly help people match their skills to commensurate employment, those that sing with the three key elements: dedicated training, respectable salaries, and welcoming experiences. Through its inter-sectoral collaborations, OLIP has been encouraging efforts to increase the number of good internships locally for immigrants. 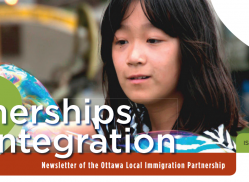 The latest includes the City of Ottawa’s Professional Internship for Newcomers (see page 4). Such internships provide newcomers with a doorway into their profession and help local hiring managers become better acquainted with the talents that immigrants offer. This can make a small dent in the mismatch of skills in Ottawa. Equally important are efforts to counter the exploitation of unpaid interns. These efforts include work by the Canadian Intern Association and by additional enforcement officers at the Ministry of Labour to investigate violations of Ontario’s Employment Standards Act. Moving forward, I hope we will continue to build a shared understanding about good internships and their central principle: supporting an effective transition into employment that benefits both the employer and the newcomer, and that helps address the mismatch of skills in Canada. 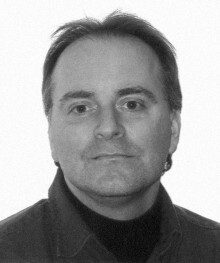 Biography – Dr Matthew Kurtz is an economic geographer, an Adjunct Research Professor at Carleton University, and a member of OLIP’s Economic Sector Table.